English courses with Twin: Win 8 weeks of free English lessons in London! Your answer could win you 8 weeks of free English lessons from Twin! The most creative reason for wanting to learn English will win! Please remember to email your name and address to rferguson@twinuk.com so we can notify you if you win the competition. The Free English Lessons Competition will run from January 22nd, 2013 until February 28th, 2013. The winner will be chosen on March 1st and announced on our blog the following day. If deemed necessary, Twin reserves the right to disqualify any entrant at any point in time and for any reason. Twin reserves the right to post any text sent as an entry to this competition on our website, blog and social media channels. Send any questions to rferguson@twinuk.com. If the winner of the competition is a current Twin student they will be eligible to receive the competition prize of 8 free weeks of General English lessons only after their original booking has finished. The free English lessons prize cannot be redeemed between June 1st and October 31st 2013, however the prize must be redeemed by Dec 31st 2013. By entering this competition you consent to receive occasional email contact from Twin with carefully selected content that we think you will find useful. We will never pass your details on to any third party. 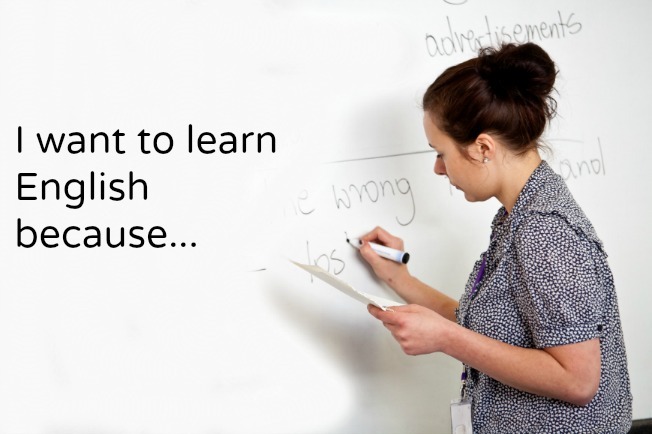 Don't delay, submit your comment explaining why you want to learn English now! Alba Rozas Boquet- "I want to learn English because for my profession I need to talk in english! In february I'm going to live in London and this is an opportunity for me. Please choose me!" Beatriz Aller Rodriguez- "I want to learn English because I get to London on Saturday and I will not say, 'I don´t speak English' when people ask me something." Djebbari Asma "Although I am studying English in my country but it is not our native language so it would be rather perfect if we study in a native country of the English language .I wanna to learn English and I am very interested also because it becomes as The famous British linguist states that English has become a global language because it has been at the right place at the right time.Moreover the English language has become the lingua franca,for that reason i need to learn it because I always communicate with persons from other cultures in English and I want to be competent in communicating in any intercultural envirnment either online or face to face"I hope that my reason would be taken into consideration and would show my great desire to have such a chance in my life.Finally thanks a lot and my respect to all. Taourite Fatima: « Since, I am an English language student,my Proximity to this language increases day by day.Thus, I want to learn English because of its global status, and is the only foreign language that I can reach the whole world with it .It is my basic tool to interact with differnt cultures and spread cultural and religious awarness all over the world. During my university studies I was always looking for the best way to improve my English level,and till now I am still looking for the appropriate one of learning English, either by reading many English books, news papers,and magazins or listening to English songs and different radio stations, till now my speaking skill is still weak .so, I noticed that traveling abroad where the native language is English is a great way to improve my English and it is on top of advices to make my English into practice.Moreover, England is the home of English, and it is an exciting place for language travel students and cultural entertainment. I want to learn English because I've been living in London for 7 months and I really suffer that I can't express myself in the daily conversations.Speaking is different than writing, you don't have so much time to think and others don't have time to wait for you. I really would like to express my thoughts and feelings properly with others without so much body gestures and do not feel frustrated of others' misunderstanding. I want to learn english because it's very important to get a good job, to comunicate with others, to express my feelings and share opinions and thoughts with different people aroud the world! English is an international language and it is a "must" to learn it! I want to learn English because I want t be a paparback writer! I want to learn English because I believe it will help me to get a better job and the best place to study it is at Twin. The moments i spend there with the amazing teachers Olga and Clara were awesome. The lessons are very good, the the classmates are funny and sociable. By the way the englands are very polite, I really liked them, so I'd like to study there again. I want to learn English because....there is something whispering me this: Keep Calm, and Learn English with Twin! I want to learn English because as Goethe once said ❝Those who know nothing of foreign languages know nothing of their own.❞ I am currently studying to become an English teacher, and although many of my students may never have the chance of speaking the language with a native speaker, they would still be able to learn much about their own language, and heir world. If you have entered the free English lessons competition, don't forget to email your name and address to rferguson@twinuk.com so we can contact you if you win the prize! "I want to learn english becouse is a powerful tool nowadays and becouse at the time of look for a job, in my country, is better to get it if you know the worldwide language.. I would really appreciate if I could learn english in its most pure form.."
I won't write long and much because everyone who writes to you, all need the help. I want to learn English because I want it and I need it, because if I can speak well english I can find a job and I can do more for my son, for my family!!! The winner of the competition is Beatriz Aller Rodriguez, congratulations Beatriz! so i can talk with people all over the world. Hi Sourav, thank you for posting your comment. Unfortunately this competition is now closed. We will be running another competition soon so please keep checking the blog for details.